“Put yourself out there” is the quote that reads on the pouch of this Matador Pocket Blanket and rightly so because this is one product you must have two have enjoyable adventure times. The Matador pocket blanket is an ultracompact model that folds out to a size of 63 x 44 inches, which is enough for more than one person. Check out the other features to know more. 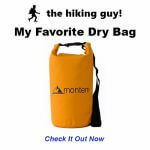 It is puncture resistant to keep you highly comfortable as it can provide protection from rocks, twigs, dirt, etc. When it comes to camping, having a pocket blanket ready can truly define how fun your trip goes. Indeed, this piece of equipment is a must have item in a travelers rucksack because of the dozens of ways you can use it when needed. However, finding a blanket that suits your budget yet performed efficiently may not be as easy as you imagine. This is why we’ve brought you a review of Matador Pocket Blanket that should be ideal for every use. The best features of these blankets are that they can be folded into a small pouch and carried anywhere without adding more weight to a bag. Can you imagine how much heavier your bag would get if you were to carry an ordinary blanket to a trip? Well, worry no longer because all your prayers have been answered. You definitely need a tent or tarp to sit, lay back and relax after a day full of trekking. It is difficult to take all the items with you as they kill much space in your rucksack. So it is always advisable to choose a product with feature versatility. Remember, that chosen product should facilitate all your needs. Size: The Matador Pocket Blanket comes with a size of 3" x 2" x 1" inch when folded in pouch, which means it is very suitable for travelling people. It comes with 44 x 63 inch when unfolded. This in turn means that it can easily accommodate 2 to 3 people to sit and relax for a food or drink. While it can only help 2 persons to lay back comfortably. And the weight of this product goes up to 90 grams, which is a positive sign for people who travel. This can be easily added to your luggage and this takes no extra space for it. Since customers face no problem with the product’s size and they are happy with the feature portability, this product gained maximum marks for portability. Material: The Matador Pocket Blanket is made up of a material known as Hyperlyte Nylon, which is well known for its durability. The company states that since the thickness of fabric used in this product is less than 90 microns, it maximizes portability without affecting durability. So because of this key ingredient, you can easily estimate that it is going to last for so many years. Durability: As you can see in Amazon.com, this product is puncture resistant. So, you can happily spread this on the rock floor. Nothing is going to happen to the product because of the sharp edges of stones. It is also water resistant, so nothing happens to the surface of blanket because of the stored water in earth or wet surfaces like grass. Therefore taking this as a feature, this product reaches its maximum score in durability. Versatility: The significance of any product lies in its versatility. The Matador Pocket Blanket can be used in a wide range of ways. When you are hiking, you might need a break. You can use this product as a tent or tarp to prevent yourself from sun or wind. When you are lying back, use this as a blanket to prevent you from strong winds and insects. When you are preparing something to eat, you can use this product to sit and peacefully do your work. Use this as a table cloth while eating. Even though you own a sleeping bag, it might not be sufficient to prevent you from cold nights. You can use this as an extra layer to cover yourself. Based on all these benefits, you can see that this product gained maximum marks in versatility. This pocket blanket is a knockout winner in every aspect as it has over 200 customer reviews on Amazon.com, speaking mostly in favor. You can go ahead and check out the reviews for yourself and then judge how great is this item. Even though this product from Matador is slightly higher priced than Montem pocket blanket, the additional length is worthy of having. Go ahead and buy it with your eyes closed. The Matador Pocket Blanket is a fabulous product which comes with so many benefits. Let’s have a quick recap off some of the key benefits of this product. This product comes with a water repellent on the backside to make you dry. There is an easy pack pattern which actually helps to ease the process of folding the blanket after use. The company states that the weighted corners of this product helps to enhance its performance level on breezy days. This product is also puncture resistant and ultra compact. With all of these amazing features packed neatly into one small packet, why would you want to try out anything else? Besides, this product comes from a reputed brand that assures quality with every single purchase.